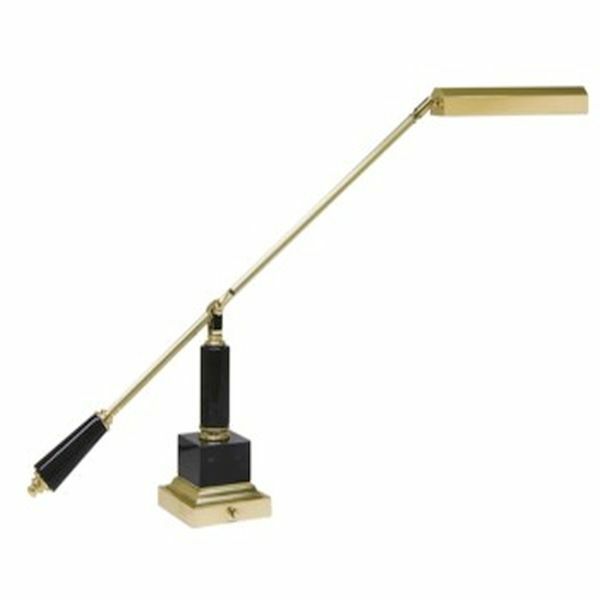 An Elegant Couterbalance design lamp for Grand Pianos in Polished Brass with Black Marble. Sits on either side of your Grand Piano Music Desk and the lamp reaches over to light up your music. We carry an extensive selection of Piano Lamps and many ship direct from the manufacturer. Please allow 5-20 business days for shipping. I had already ordered one of these lamps previously for the organist at our church, and decided after talking with the pianist to order a matching one for the pianist. Both lamps are high quality, very sturdy, and a beautiful accent to the piano and organ in our church sanctuary. Very satisfied with the lamp and this company! They will have my business for years to come! for high quality products and efficient service. Thank you. This is the finest piano lamp I have ever used. Its design is also quite nice.